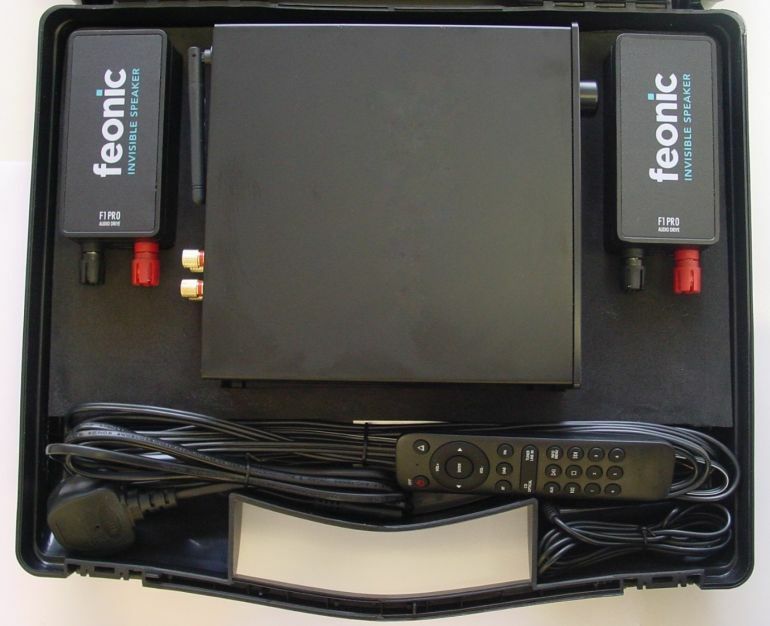 Buy Feonic FXPRO Audio Drive Solutions. Invisible Surface Speakers. 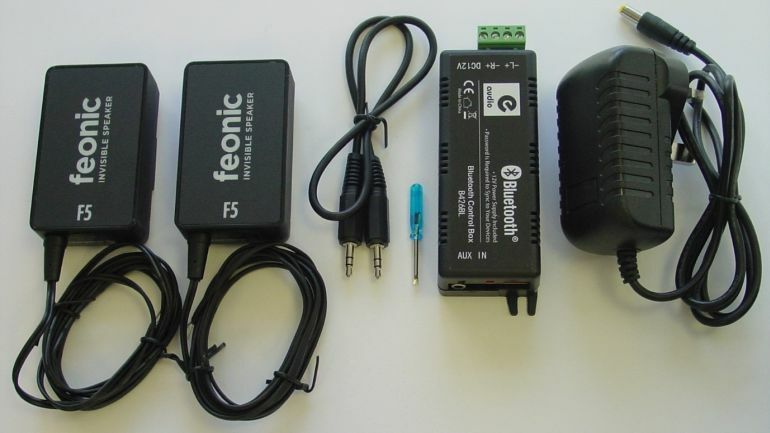 Buy Feonic FXPRO Audio Drive Solutions. Turn Surfaces into Speakers with Kits to exploit every audio opportunity: invisibly. You may have searched for invisible speakers, hidden speakers, in wall speakers, window speakers, surface speakers, vibration speakers, speakers on glass, or even audio transducers! Our innovation technology provides all of these and more. Quite simply, as long as the surface resonates (sounds good when tapped), we can achieve sound! The use of our technology is limited really by your own imagination! Look at all the cases where we have been the solution. Case Studies. Solutions are an ideal introduction to our Whispering Window®. With Whispering Window bring your store window display to life with attention grabbing audio. 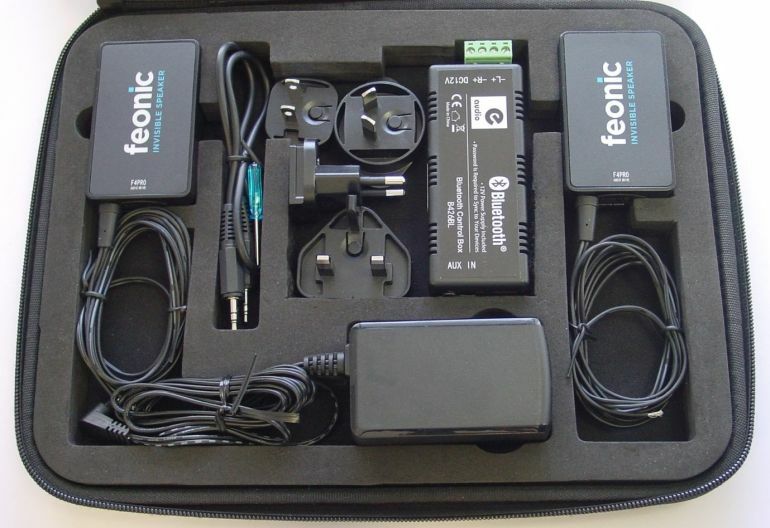 The Feonic F1PRO demonstration kit for Feonic resellers and distributors enables powerful stereo demonstration of Feonic technology in a convenient portable manner when connected to a music player, PC, Mac or mobile phone (Bluetooth or wired). Virtually all traditional construction materials can be turned into true stereo speakers when the F1PRO units are placed in contact with them. The demonstration enables the recipient to quickly appreciate that Feonic F-Drives micro-vibrations are non-destructive and that the technology can be mounted on the rear of the panel so offering designers amazing freedom to use curvaceous and non-linear forms without the need for unsightly speaker boxes. For more details on our unique FXPRO audio drive technology download spec sheet here. Feonic Presenter Pro is a professional business tool that uses Feonic technology. It enables a presentation to be made from a laptop, tablet or other audiovisual source by turning a boardroom table into a loudspeaker device. This product allows the full audio power of Microsoft applications such as PowerPoint to be fully exploited in stereo. 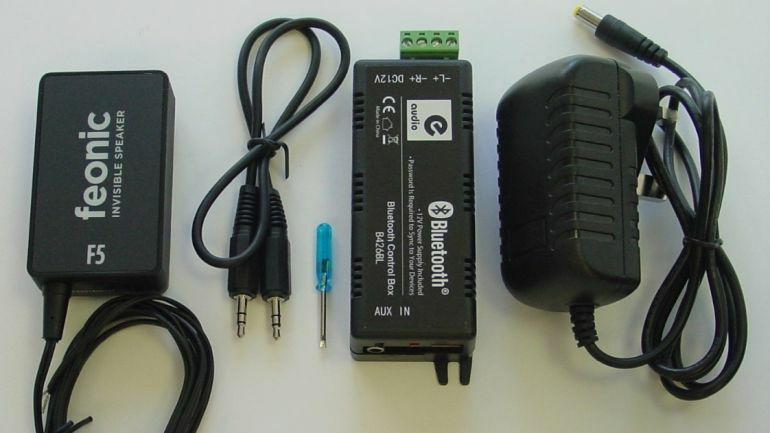 Connection can be made via Bluetooth or wired. The F4PRO Presenter Pro Kit is an excellent demonstration product and can be used both professionally and at home. A low cost introduction to Feonic’s solid state speaker technology. An excellent way to explore how everyday surfaces can be turned into speakers.